A police officer escorts Eustace ‘Colosso’ Freeman onto the stage to perform one of his songs about politicians who steal. 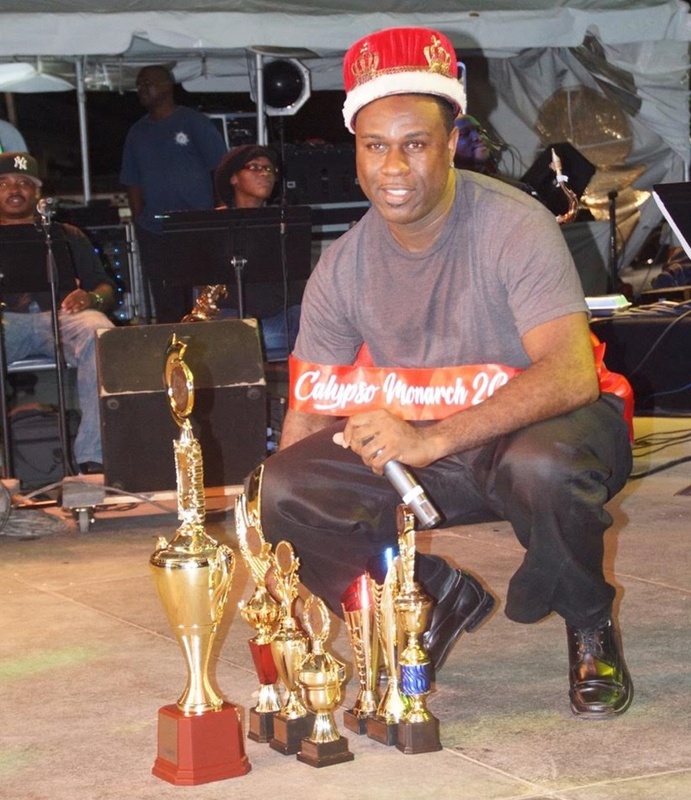 Moments after he thrashed six contestants in all categories to win the 2017 Calypso competition, Eustace Freeman gave the clearest indication yet that he will start focusing more on individual performances. Freeman, who used the stage name Colosso in the contest last evening (August 2), is also known as Boss. He is a member of Showtime Band. He stated that he last contested the Calypso competition about five years ago, adding that ‘old age’ is what pulled him back to the genre. “Old age; old age [is making me interested in Calypso again]. I can’t keep jumping up in the band all the time,” he told journalists after his victory was announced. 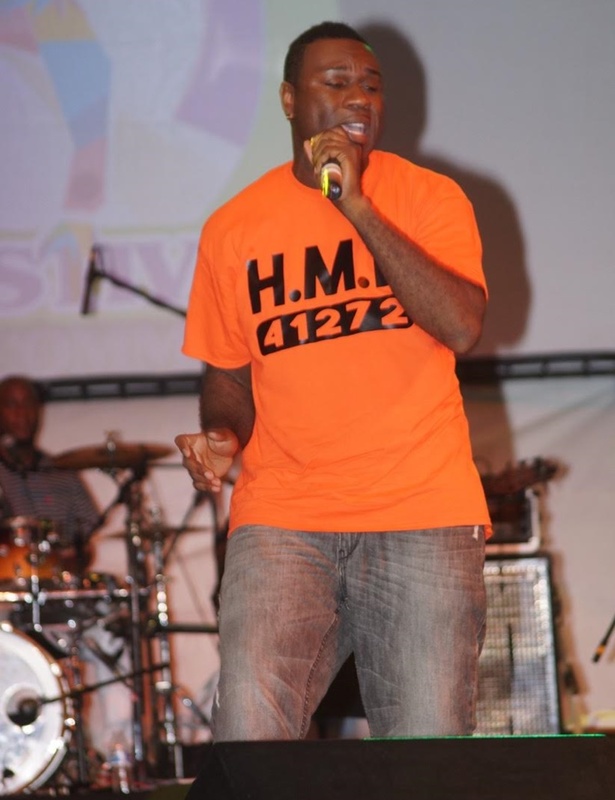 Freeman added that there is more work to be done in order for people of the British Virgin Islands (BVI) to become more appreciative of Calypso music. “I think we have some work to do as far as the general public [is concerned]. But the support tonight (Wednesday) was great. If we continue to get this sort of support, it will be great for the Calypsonians and the future for Calypso in the BVI,” he said. 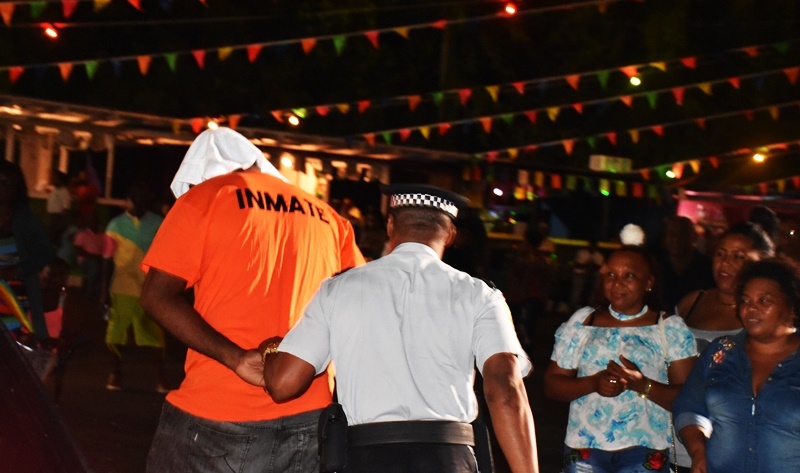 Freeman, in the meantime, wants the territory’s young people to become more involved in Calypso through – among other initiatives – a junior competition. “I would love to see junior Calypso come back. I would like to see it in the schools so that the next generation will take up the torch and run with the Calypso. That is what we need,” he said, but noted that teamwork is likely to be the biggest challenge. “We just have to get ourselves together as Calypsonians first of all. 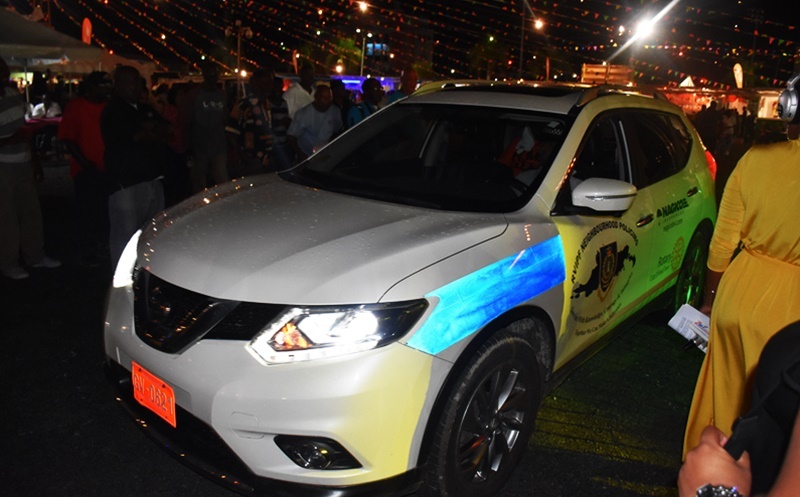 We got to get together and be on the same page if we really want to see Calypso grow,” added Freeman, who collected $6,000 as the winning prize in the competition held at the Road Town festival village, which is named this year in honour of late businessman Neil Blyden. Freeman stated that his two songs – one of which highlighted politicians supposed perchance for stealing – were well received. The people who ‘gravitated’ to Freeman’s songs included those who mattered most – the judges. The judges actually named Freeman the winner of all categories of the competition – Best Lyrics, Best Stage Performance, Best Social Commentary, Best Arrangement, and Most Humorous. The winning Calypsonian said the other six contestants also put on a good fight. “I want to big up all the other competitors; they were great. But you know you could only have one winner, and I am glad to be standing here today,” he said. The other contestants were Shereen Flax-Charles, Algernon ‘Macko’ Mathavious, Gaverson ‘Falco’ Frett, Titus ‘Rocky’ Crabbe, Roland ‘Chico B’ Veira, and Reynold ‘King Paido’ Phillips. Phillips finished second to win a cash prize of $4,000. The Calypsonian who was placed third, Rocky, won a $2,000 cash prize. The 2016 winner of the competition, Joycelyn ‘Sistah Joyce’ Searles, did not defend her title.